Sony has announced three new BRAVIA 3D TVs in 60, 55 and 46-inch models. The NX810 series feature DynamicEdge LED backlighting, MotionflowPRO 240Hz frame rate, built-in Wi-Fi, 1920×1080 resolution, and LightSensor technology for automatically adjusting backlight. For connectivity, the 3D TVs utilize BRAVIA Internet Widgets which can access Twitter and streaming video services such as Netflix, YouTube, Amazon Video On Demand, and Slacker. Pricing on the new NX810 models ranges from $3,000 to $4,700. Sony is offering a bonus to customers who purchase one of the new 3D Bravias — two free Blu-ray 3D titles and a PlayStation Network voucher good for stereoscopic 3D game content. 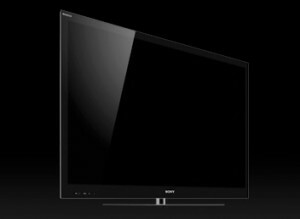 Check out Sony’s selection of Bravia NX810 series 3D HDTVs available for pre-order at SonyStyle.com.